Did anyone else play the old Spider-Man 2 game for PlayStation 2? Did you notice that, in all the years after this game, there was never quite another Spider-Man game that would give off the same vibe, and let you feel as free as you did with Spider-Man 2? Well I certainly felt that way with a lot of the other games, the only Spider-Man game I even picked up after that title was the Spider-Man 3 game, and even that didn’t feel quite the same. But after picking up the PS4 exclusive Spider-Man game, I felt like I was actually playing a game that rivalled, if not, bettered the old PS2 Spider-Man 2. The story of the new game is incredibly unique, it has a way of making the player think that one character is the main villain before switching it around to make you realise otherwise, whilst also including a wide range of villains that offer different mechanics when fighting each, making each fight feel different and challenging in new ways. The story is set in a time years after the death of Uncle Ben and the defeat of countless villains. Peter is out of school, and no longer taking pictures for the Daily Bugle, instead he’s working for Doctor Otto Octavius and sees him as the father figure that we’re seen in all the previous Spider-Man films; the original 3 and the Amazing Spider-Man having Uncle Ben to remind him of what he needs to do, the Spider-Man in the MCU having Iron Man to guide him when its needed. In this game Octavius makes a refreshing difference to seeing Uncle Ben die for the third time whilst also not relying on Sony’s partnership with Disney Marvel to succeed as a game. What I also enjoyed a lot about this game in terms of the gameplay, was the web swinging. It feels free and incorporates new mechanics to stop you from falling if you run out of buildings to use to swing across the city. It also allows you to zip directly towards far-away buildings, which was certainly lacking in the old Spider-Man 2 game, therefore resolving a big issue that many players may have had with the game. Alongside the unique combos, the special abilities tailored to your choice of suit, there is a unique story that includes a number of villains, with some that have never been seen in films before. In terms of combat this game can be challenging if you can’t press the right buttons in time. Whilst I have heard a few complaints that it is as simple as constantly pressing circle every time Spidey’s head flashes, there are times when you really have to be focused on this, but at the same time, focused on webbing up another boss, and it can be a question of priorities during gameplay. And the amount of variety in the player’s playstyle is near unlimited. When you combine webs with combos, and stealth attacks with impact webs, the possibilities are endless, especially when paired with the different skills, gadgets and special abilities available in the game. The suits in the game are earned through a variety of activities that can be done across the city; these get the player either landmark tokens, crime tokens, backpack tokens or research tokens, depending on which activity you choose to do. These activities include picking up backpacks, finding hidden clues, stopping randomly generated crimes (that pop up across the city), and more. You can not only use these tokens to buy new suits, but also upgrades to different suit gadgets to make gameplay more and more enjoyable as you progress through the levels. The game also uses skills as well as gadgets to improve gameplay whilst web-swinging which, combined with the gadgets and the modifications that can be made to the suits, make each player’s experience unique in their own way. The game also, very cleverly, plays off of the nostalgia that was created in the end credits of Amazing Spider-Man 2, to give the Spidey-fans the chance to meet the Sinister 6 who, because of the cancellation of Amazing Spider-Man 3, we may not get to see on the big screen. This gives players a great opportunity to meet new villains and uncover new stories across the experience of playing the game. This story tests the player in many ways by bringing us a challenging story, one that seems even more hopeless for Spider-Man than Spider-Man 3 did. The game, fortunately, gradually builds up to this intense level of gameplay by allowing the player to spend time swinging around the city and learning the ropes (pun intended). This is what makes the learning part of it so great, the fact that the game very much allows you to “learn by doing” by throwing you in the action from the get-go, whereas the old Spider-Man 2 game gave you a tutorial that did feel a little tedious. But from the end of the first mission, in this game, the player can really do whatever they want without feeling obliged to do any of the story or even the pop-up events that might or might not appear at random points when swinging across the city. The story also seems to take a very different turn with characters such as Mary Jane and Harry, who is out of the picture almost entirely, as he’s out on a trip around Europe whilst the game’s story is playing out. This choice, to me was a good one to make because I think that the fewer people Peter has to comfort him in his time of need, the more it challenges his character when he needs it. 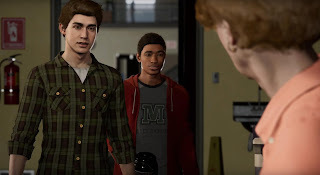 Although fortunately there are still times when MJ is there to give him a helping hand, as even though this Peter is nearing his mid-twenties, everyone needs a little help sometimes. 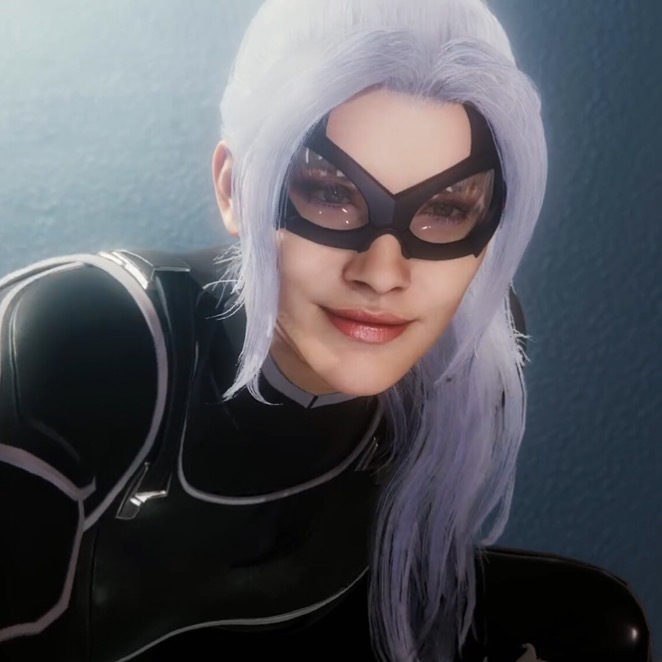 Speaking of MJ, in this game her character seems to be very different but still very much the same at the same time. This time, she is a character that has experienced being rescued by Peter so much that she’s grown tired of it, and wants to do the kind of things he does, and the developers of the game found that the best way to do that was to have Mary Jane not be in a relationship with Peter anymore, so he doesn’t feel so obliged to stop her from wandering into trouble. For me, I think that was the best creative choice they could have made, though my one criticism about her seeking out trouble so much, was that she seemed to do it in the moments where it would be almost suicidal for anyone to even try to, and kind of makes the game less realistic (for a superhero world I mean) for someone to so easily sneak past a number of armed guards without any powers or weapons, so it sort of takes a little out of the story for me, but otherwise, the missions when you do play as Mary Jane, can be quite enjoyable. 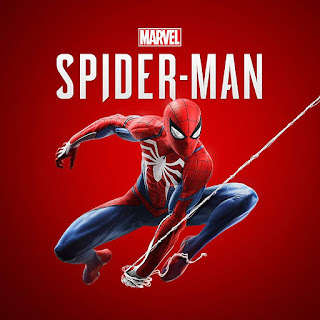 The game not only introduces some new villains, but also introduces some new characters in general, like the addition of Officer Yuri Watanabe, an officer who works with Spider-Man to find connections between criminals and who works with him to clear the city of its criminals. It’s characters like this that make us realise how far we get into the story of Peter Parker, as this game includes cooperation between many members of the police force that support Spider-Man with intel from across the city. It also very cleverly introduces the character of Miles, a character you may recognise the name of, as he is actually known as Spider-Man in an alternate universe. However, in this game he is an ordinary kid, but this does make for a clever introduction for Miles, into Sony’s Spider-verse, and could open up new doors for films they could make in the future, as they won’t need to involve Peter Parker’s Spider-Man (who is off fighting as an Avenger) as Miles is Spider-Man in a different universe. 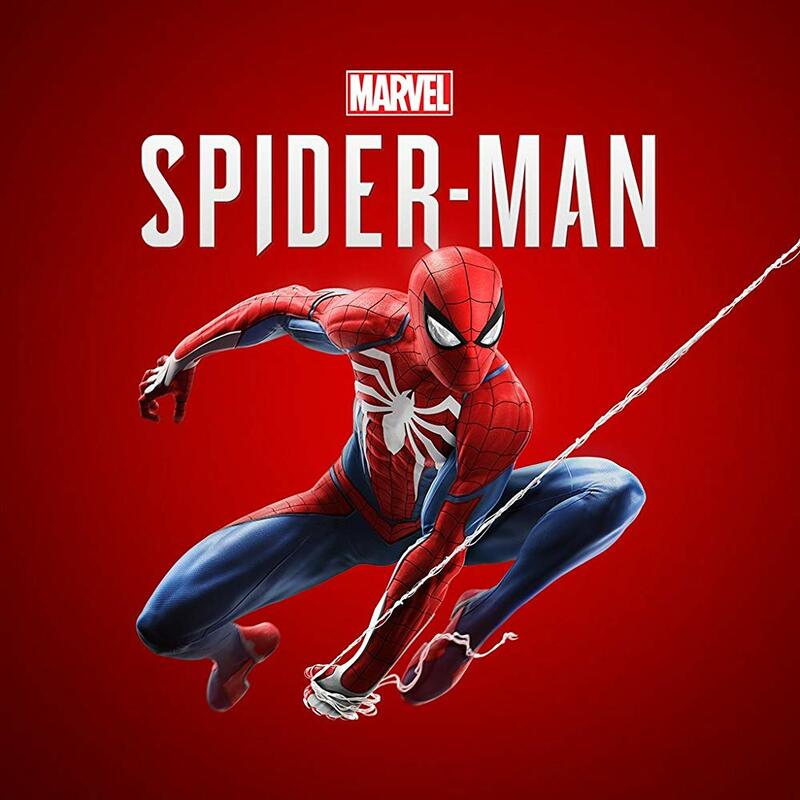 Overall though, I think the variety of new characters, the development of characters we’re already familiar with, the nostalgic call-backs to previous films with the variety of suits, the different fighting styles and gadgets, not to mention the incredible story (which I have already mentioned), mean that this game is very much worth picking up. Even if you have no real interest in the main story you can spend hours and hours enjoying swinging around the city and webbing up bad guys. Out of all the game releases this year, this would have to make the top three for me, maybe not the highest (because that spot has to reserved for Detroit Become Human!) but definitely way up there, and worth checking out.